Pangasius fish price has remained high before the Tet holiday until now, approximating VND28,000-30,000 a kilogram, said Mr. Nguyen Thanh Binh, director of Chau Thanh Seafood Cooperative in Dong Thap province yesterday. These prices ensure big profit for breeders, he added. 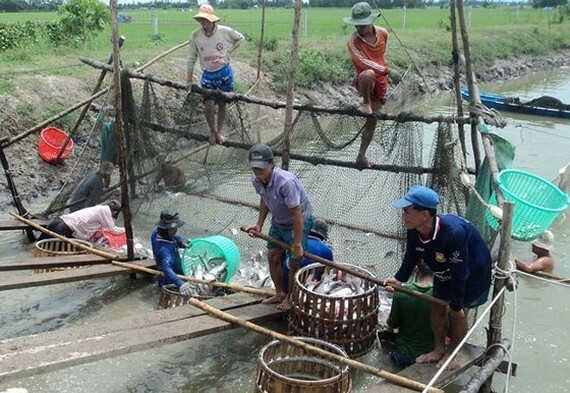 Processing and exporting companies say that the high price has been thanks to stable export market in Asia and America while the volume of fish ready for harvest is not much in the Mekong Delta region. Mr. Doan Toi, chairman of Nam Viet Seafood Company in An Giang province, said that the fish price might remain high this year but it is unpredictable in following years. So breeders should not expand farming especially in areas out of plan without cooperation with processing firms. They should focus on improving the fish quality and reduce costs to improve competitiveness. According to Vietnam Association of Seafood Exporters and Producers, pangasius fish export turnover reached $1.78 billion last year, up 4.3 percent over the previous year. 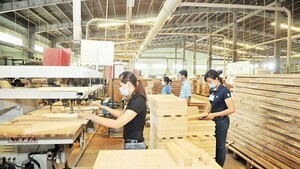 It is expected to approximate US$1.85 billion this year.